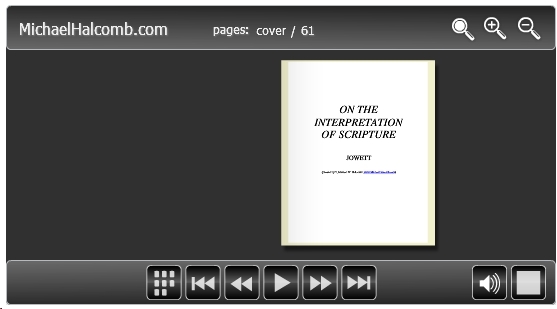 In the field of biblical studies and in particular biblical interpretation, one of the most well-known and formative essays on the topic was penned by Benjamin Jowett. 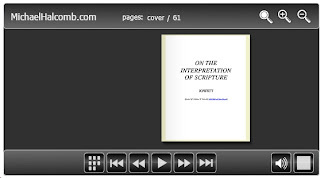 His article, "On the Interpretation of Scripture" sparked decades of controversy in Europe and to this day, has had lasting affects on interpreters of the Bible (from the average layperson to the top-ranking professors). If you want to engage a fundamental article in this area, check out this nice, clean-cut, interactive, magazine-style copy of Jowett's article by clicking on the "Open Article" button below. Enjoy.